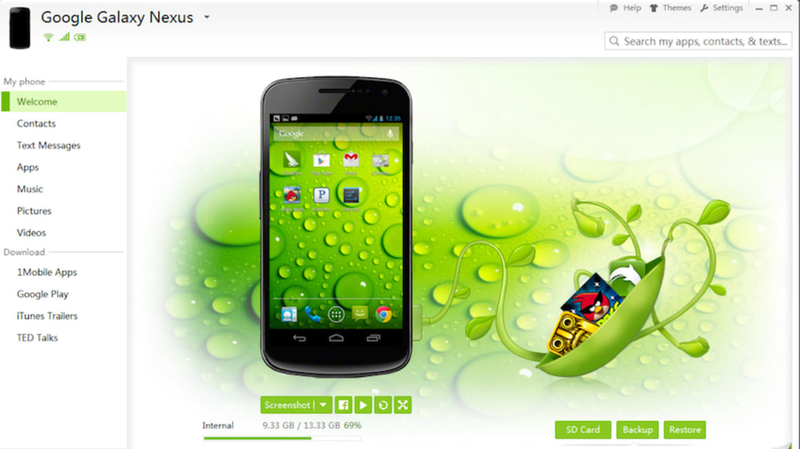 A free program for Android, by Tiens Group. 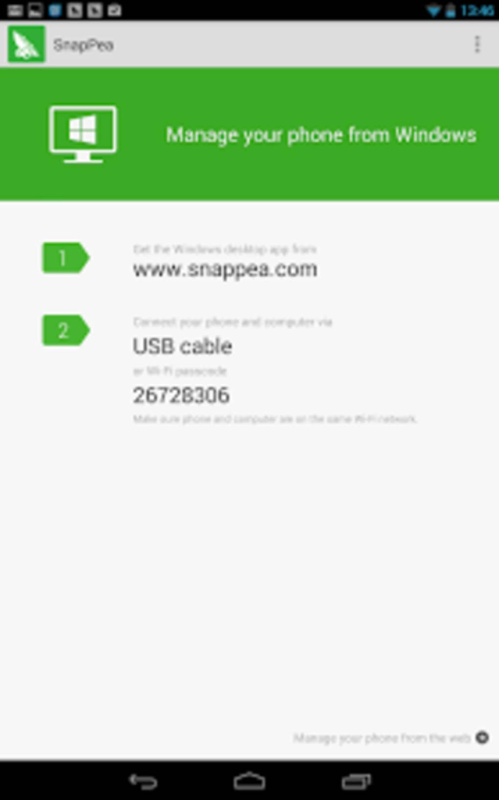 SnapPea is a small utility that allows your Android device to be managed on a PC using the SnapPea software. SnapPea isn't as much of an app as it is a utility to allow you to use the Windows SnapPea app. 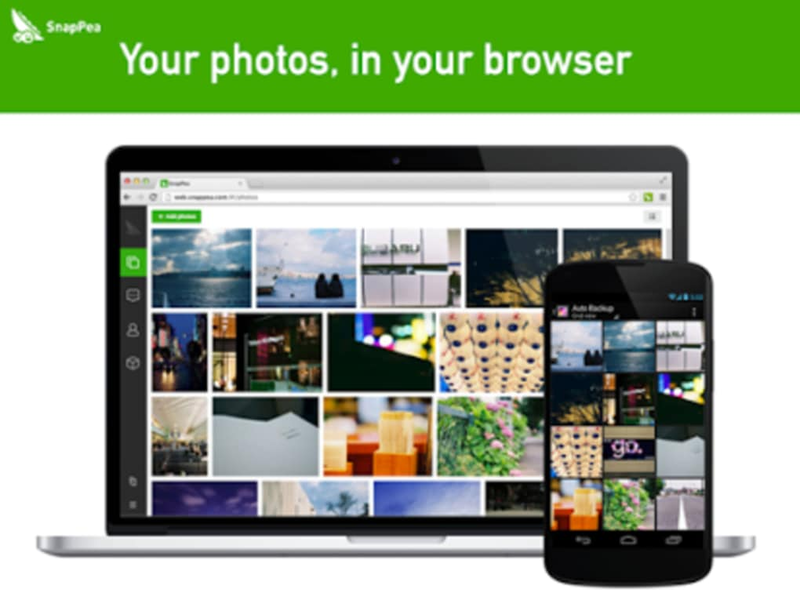 With it installed, you can manage your photos, music, videos, texts, and more on your PC. You can even archive your text messages. 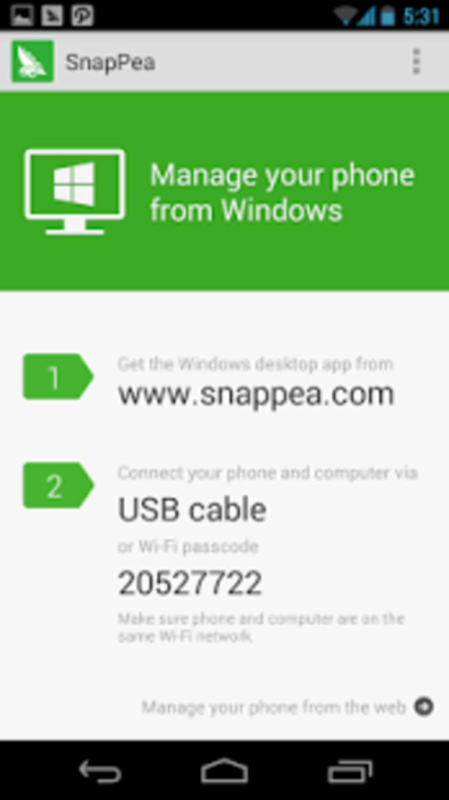 Beyond allowing you to use SnapPea for Windows, this Android app doesn't do much else. 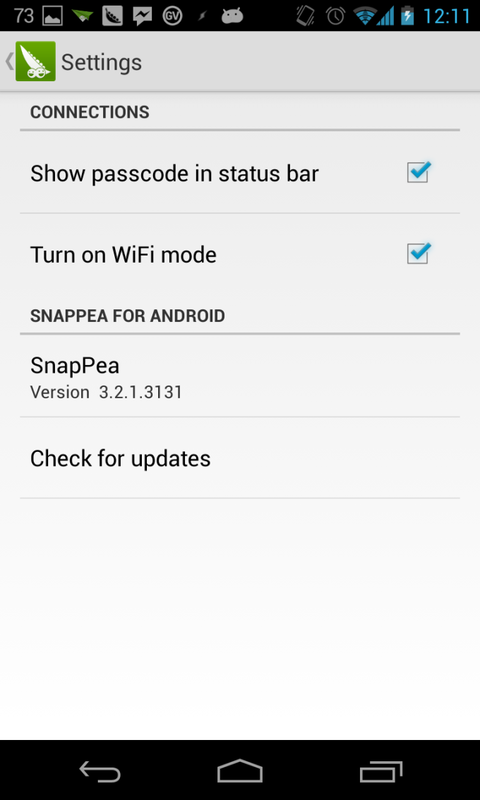 SnapPea for Android is a necessary utility if you want to use SnapPea on your PC. If you've installed the PC app without installing this, you will be given an option to automatically install app on your Android device. 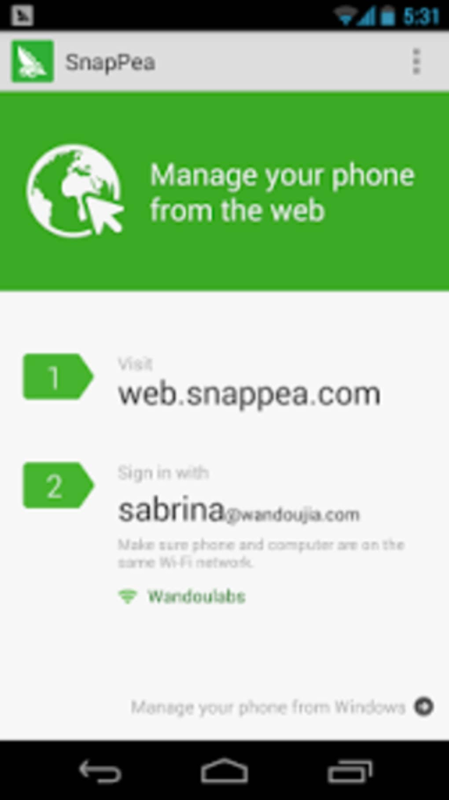 SnapPea allows users to manage content on their Android devices from their Windows PCs. SnapPea gives you instant access to your apps, music, pics, and texts from your Windows desktop. Transfer files, share pics, or text message from the comfort of your computer. 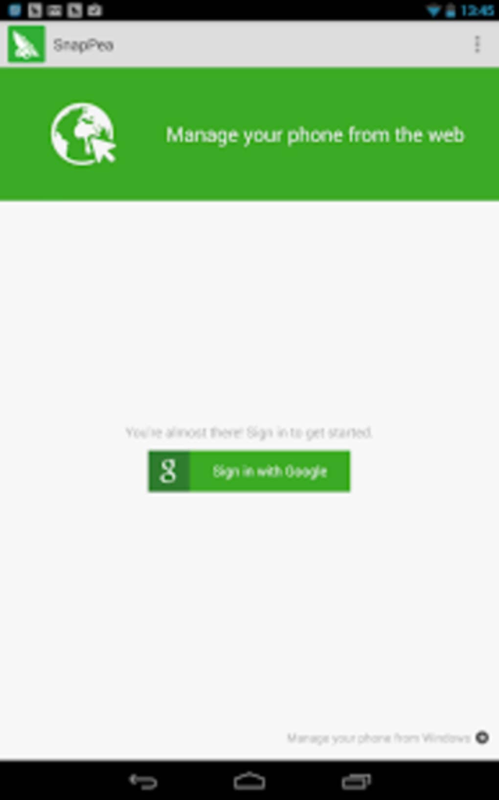 Sideload free apps to your Android with just one click in SnapPea. It's a lifesaver for users with a slow or expensive mobile data plan. Downloads come from 1Mobile, Google Play, iTunes Trailers, and TED Talks, with more sources on the way. Connecting to your computer is easy and automatic. 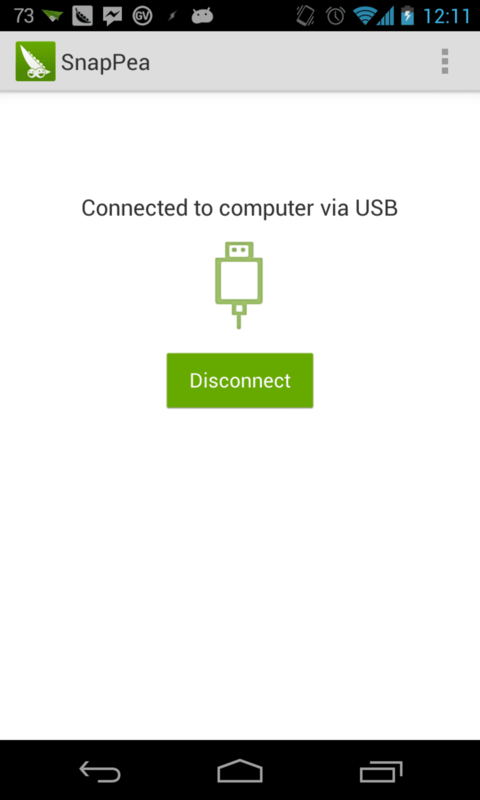 SnapPea supports instant Wi-Fi or USB connection to over one thousand different Android devices. And it auto-connects over Wi-Fi, so there's no need to re-enter a passcode each time. 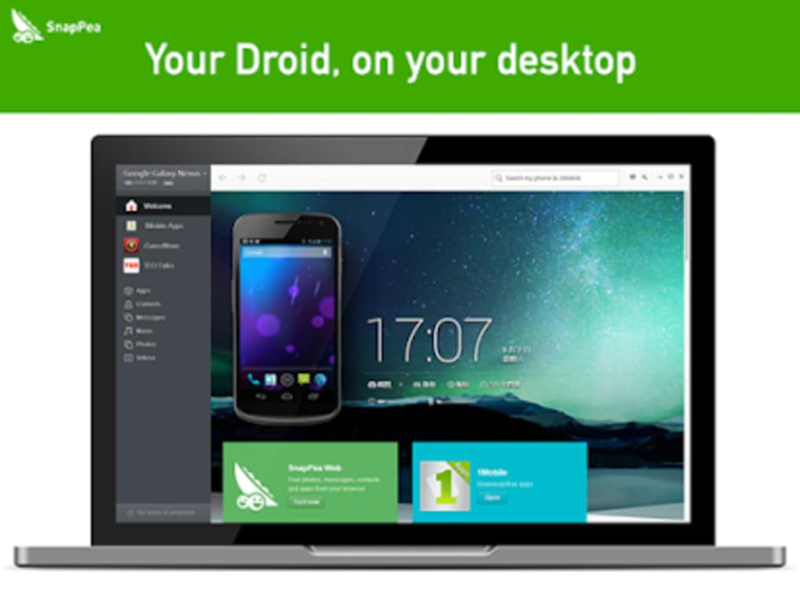 SnapPea lets users backup their Android devices' files to their desktops, download apps to their PCs and sideload them onto their mobile devices, and is opened as a desktop application. SnapPea is meant for users who want all of their Android content in a single location. What do you think about SnapPea? Do you recommend it? Why?